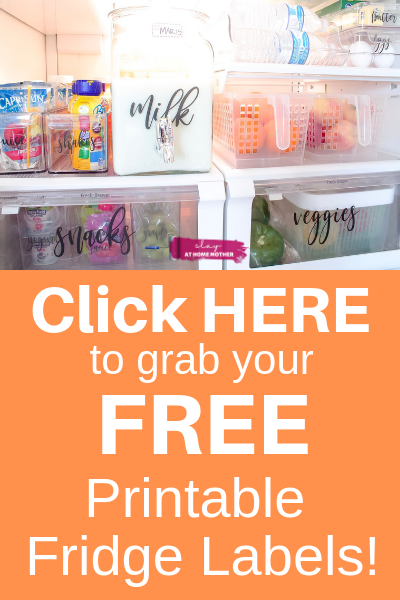 *This post is in partnership with New Chapter, a brand that I love, and includes affiliate links. All opinions are my own, as always. It feels like forever since Chris and I announced we were TTC for baby #3! We’ve been trying for the better part of a year now, and if you’re anywhere close to being in the same boat as we are, you probably know how frustrating it can be to see all of the negative pregnancy tests! 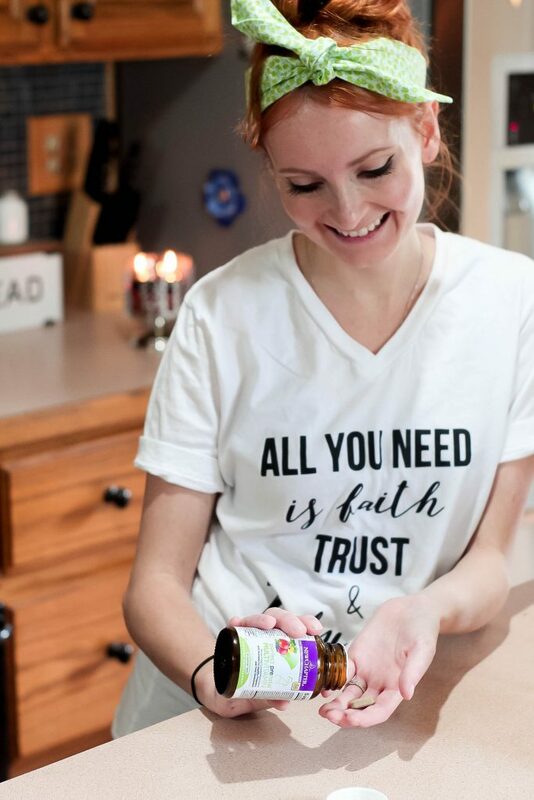 But, we’re still keeping the faith and doing our part to ensure our final pregnancy starts off the right way – with proper nutrition and a prenatal multivitamin that’s made with organic vegetables and herbs! Because this will be my third pregnancy, I already know how important it is to take a prenatal multivitamin. 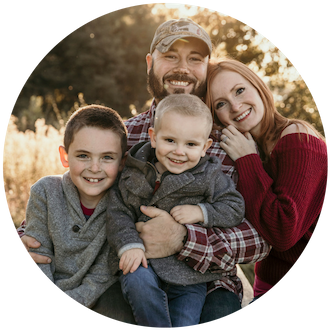 We experienced a lot of chromosomal ‘scares’ during our second pregnancy with Jax that required me to have weekly ultrasounds (called Biophysical Profiles), twice weekly Non-Stress Tests, and numerous OB checks. At one point, our doctors believed he had IUGR (which I had as a baby), or Down Syndrome. He was born healthy with a great latch, but was later diagnosed with Pierre Robin Sequence at about 8 weeks old due to a slew of feeding issues early on.Thinking back, and partially blaming myself, I remember that I waited to start taking a prenatal vitamin until my first OB appointment, which was in my 10th week of pregnancy (my doctor’s office wouldn’t schedule the first appointment any sooner than that). I remember wanting to wait for the prescription prenatal vitamins. Of course, you can take a prenatal vitamin at any time during your pregnancy. Luckily, we have a very healthy two-year-old right now. I know that there is little that could have been done to prevent his diagnosis or condition because the exact causes of his condition aren’t currently known. But for overall peace of mind, I feel very strongly about taking a prenatal multivitamin before conception. There are so many different prenatals on the market right now and choosing the right one for you might seem a little daunting. 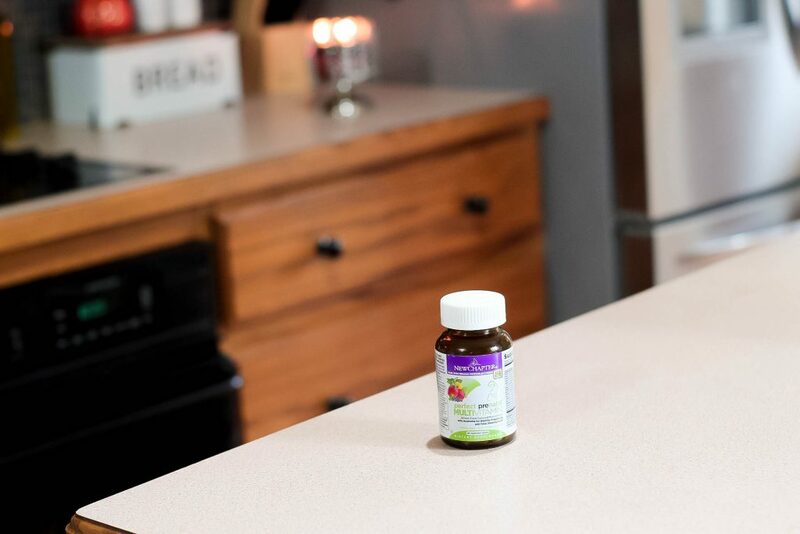 Perfect Prenatal Multivitamin by New Chapter is gentle on the stomach, and can even be taken on an empty stomach. 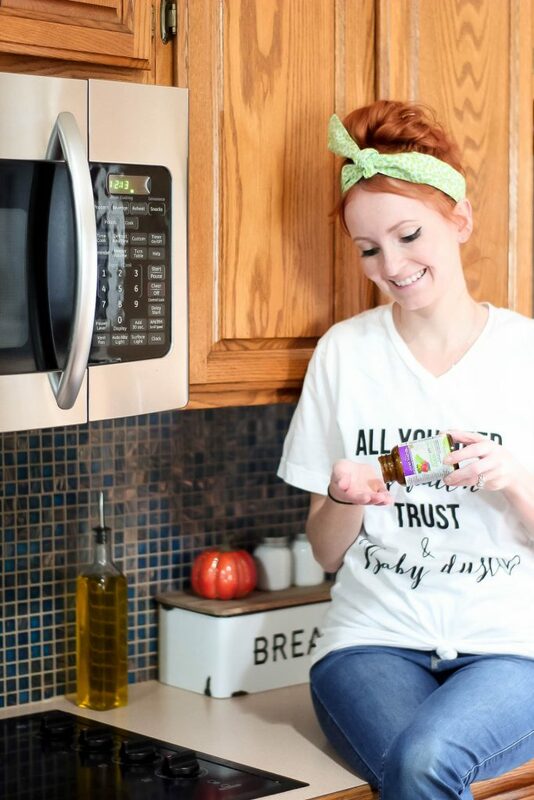 ** The new and improved formula even includes a touch of ginger to soothe nausea. * For pregnant mamas that have trouble keeping food down (let alone your prenatal multivitamin), this is super important! New Chapter has a unique two-step fermentation method (with the use of beneficial probiotics) which helps make their multivitamins easy to digest and absorb, and brings further vitality to the herbs and nutrients they use to deliver women everything they need for a healthy pregnancy. 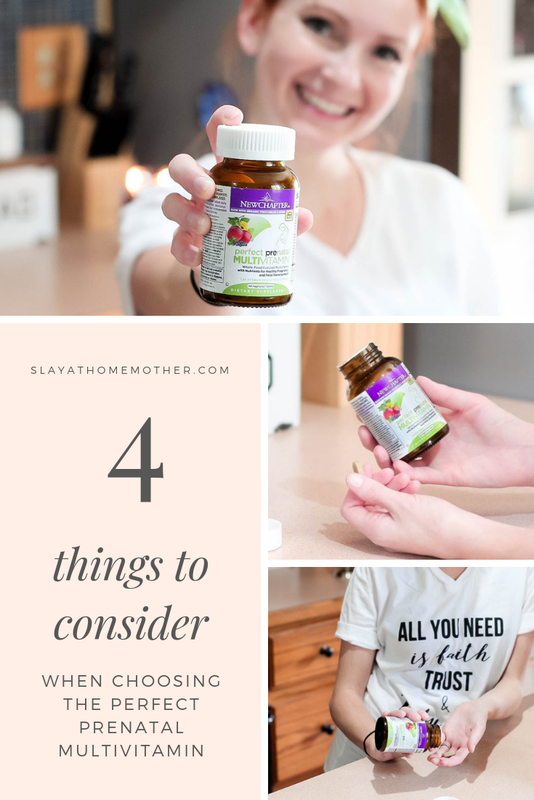 So if you experience the oh-so-lovely morning sickness (or afternoon sickness, evening sickness, all-day sickness), then this is the multivitamin for you! 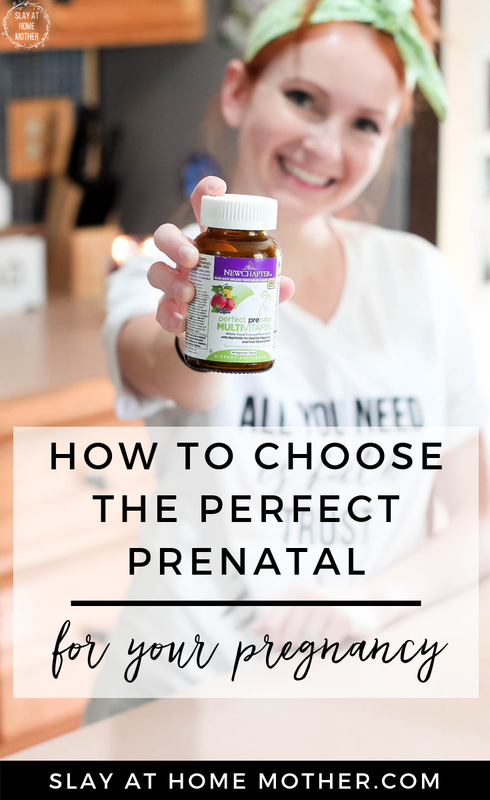 Probably most important when choosing your prenatal multivitamin is making sure it has everything that both you and your baby need for the healthiest pregnancy. Consider the vitamins and nutrients your prenatal contains – does it include the important ingredients that your baby needs for healthy growth and development? Vitamin D + Calcium – Calcium helps grow strong bones, so Vitamin D3 helps the body absorb calcium. To pick the prenatal that’s right for you and your pregnancy, look at all of the ingredients and sources of those ingredients. Ask yourself if it’s important for you to take quality, whole food supplements during your pregnancy. If I could wave my magic wand and grant myself one wish during this future pregnancy – it would probably be to give myself more energy! Whether you are in the same situation as I am with raising little ones and running your own business, or you are planning on growing your very first tiny human within your womb – energy is a very difficult thing to come by. 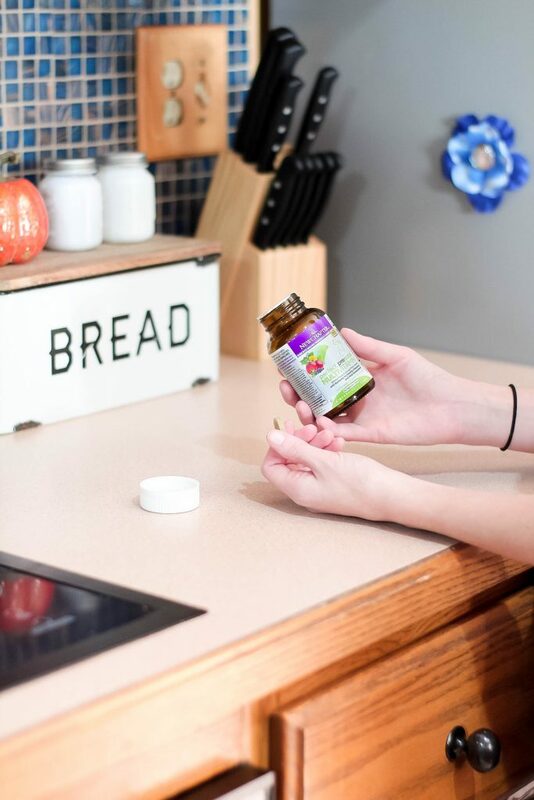 Luckily, Perfect Prenatal Multivitamin contains fermented B vitamins to aid in natural energy production so you can keep up with life’s demands while creating life ;). 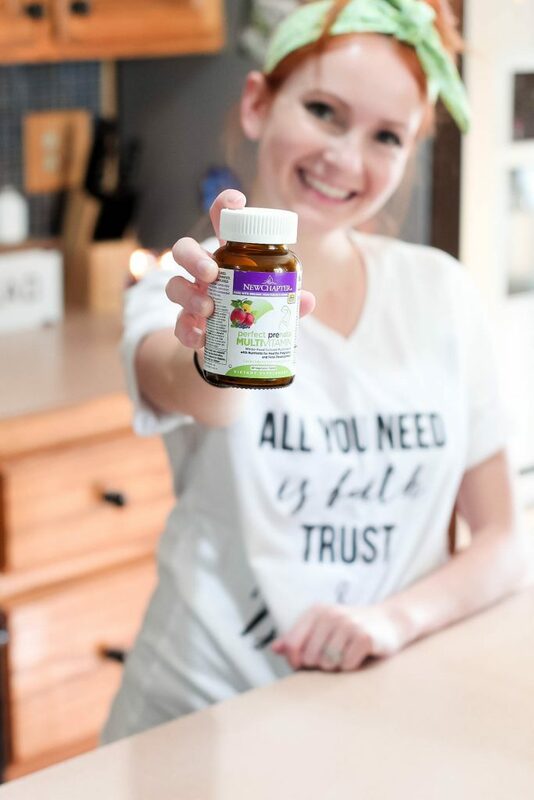 I’ve found that Perfect Prenatal Multivitamin from New Chapter has turned out to be the perfect prenatal for me for so many reasons, but I encourage you to speak with your doctor before making any decisions regarding your prenatal care to be safe! I remember when I was pregnant there were many prenatal vitamins on the market. I wanted to choose the best one for my baby. I’m sure your guide with really come in handy for a lot of new moms! I love that it has Vitamin D in it! I always have to take extra Vitamin D when I am pregnant because I am deficient. If we end up going for baby 3 I will look into this. Pinning now! These are great tips. My prenatal vitamin was a horse pill (SO BIG!) and I hated it. Wish I had known your tips. Praying for you in your journey!! It’s not always easy to find a good prenatal that’s easy on the stomach too… looks like you did though! Finding a great pre-natal is so vital! Great tips for the mom-to-be! It’s so important! Always looking for great ways to stay healthy. Sounds like these multivitamins are great for pregnancy. Thank you for sharing! I was also careful when I was trying to choose prenatal vitamins. My doctor also recommended a brand that has complete with what my baby and I need.